Brexit is now a reality after the EU Referendum resulted in a 52% 'Leave' vote. What remains to be seen is how and when we leave the EU and what the shape of our future relationship with it will be. There are still an enormous number of unknowns but the impact of Brexit on the UK's legal system could be wide ranging in many areas, whatever form Brexit takes. How is EU law made and implemented? Under the Ordinary Legislative Procedure (in somewhat simplified terms), the Executive body, the European Commission (essentially the EU's civil service and government) proposes new legislation. The proposals are then commented on and revised by the European Parliament (which has directly elected representatives but no legislative initiative) and by the Council of the European Union (Council), the main decision making body made up of ministerial representatives from each Member State. Trilogues then begin between the three bodies to resolve differences and finally agree legislation. Legislation can also be adopted under the more complex Special Legislative Procedure. The Treaties of the European Union set out the constitutional basis of the EU and are the highest level of EU legislation. They create the Single Market based on the four fundamental freedoms of the European Union: freedom of movement of people, services, goods and capital. EU Treaties are incorporated into UK law by the European Communities Act 1972 (ECA) which also provides the legislative basis for transposing EU law into domestic law and gives precedence to binding provisions of EU law over inconsistent UK legislation. At the next level of legislation are EU Regulations. These are directly applicable under the Treaty on the Functioning of the European Union which means they apply in Member States without the need for implementing legislation. Conversely, Directives require Member States to draft legislation to transpose them into their own law. This has resulted in individual Member States taking differing approaches, for example, by 'gold plating' legislation, i.e. going beyond the scope of the Directive. As the EU has focused on "ever closer union", however, Directives have recently tended to be maximum harmonisation measures which means that gold plating is not permitted and guidelines to prevent gold plating were adopted in the UK in 2011. At the lowest end of the legislative scale are Commission Decisions which are binding on the subject, and opinions and recommendations which have no legally binding effect. The EU can only legislate in certain areas. It has no discretion to adopt legally binding acts which require Member States to harmonise their laws on areas including healthcare, culture, industry, education and tourism. It has exclusive competence in the areas of customs union, competition and some common policies. Other areas have shared competence (which means Member States can act if the EU has chosen not to). These areas include social policy, agriculture, consumer protection, transport and the environment. The UK has various opt-outs, including one in respect of laws on freedom, security and justice. In addition to the laws produced by the institutions of the EU, new law is also made by the judiciary in the form of judgments handed down by the Court of Justice of the European Union (CJEU). The CJEU is made up of a judge from each Member State and eight Advocates General. The CJEU hears references from Member State courts on points of EU law so where there is a question as to how to interpret an aspect of EU law in a local case, the case may be stayed pending a reference to the CJEU. Where matters of new law are concerned, an Advocate General will give a non-binding Opinion prior to the final judgment being handed down. National courts are required to follow the CJEU decisions which can radically alter the interpretation of EU legislation or, as in the recent case of the Data Retention Directive, strike it down in its entirety. In the UK, the ECA gives primacy to the CJEU in matters of EU law. It is worth noting that the European Court of Human Rights is not an EU institution. Its jurisdiction depends on countries being signatories to the European Convention on Human Rights (the rights under which are incorporated into UK law by the Human Rights Act 1998) and not on being an EU Member State and its membership goes well beyond the European Union. The EU has its own Charter of Fundamental Rights of the European Union which is consistent with the Convention and all EU law must be informed by and interpreted in accordance with its provisions. It is hard to quantify exactly how much UK law has been adopted as a result of EU requirements; estimates of how much UK law was influenced by EU law between 1993-2014 vary from around 13% to 62%. What is certain is that we have a lot of EU-derived law already on the statute books and there are major questions as to how this will be dealt with and how we will deal with new EU law which we might be required to follow in order to continue trading with the EU in certain areas, for example, in consumer sales of goods, services and digital content. The answer to these questions will depend partly on which exit route the UK takes. There is no precedent for leaving the European Union under the current Treaty provisions (Greenland left the EEC in 1985 after a three year negotiation and Algeria left in 1962 on achieving independence from France). As a result, nobody is quite sure on what terms we will leave. The exit procedure is set out in Article 50 of the Treaty on the European Union (the Lisbon Treaty), in accordance with which, the UK will need to notify the Council of its intention to initiate the leave process. The Council will then negotiate and conclude an agreement with the UK for its withdrawal in accordance with certain guidelines it agrees on and subject to certain approvals. If the negotiations are not concluded within two years of the exit notification, the EU Treaties will cease to apply unless that two year period is extended by unanimous agreement of the Council and the UK. The exit agreement will need to be approved by the European Parliament and agreed both by the Council (by an enhanced qualified majority or 20 out of 27 Member States) as well as by the UK and it seems unlikely that the initial two year period will be sufficient. If the two year period were to expire without renewal before an exit agreement, it would trigger complex issues around conflict of laws. The situation is all the more uncertain because under Article 50(4) of the Treaty on the European Union, "the member of the European Council or of the Council representing the withdrawing Member State shall not participate in the discussions of the European Council or Council or in decisions concerning it". In other words, much of the negotiation for the terms of the UK's withdrawal between the continuing EU Member States will take place without the UK's participation. The Article 50 provisions are untested and raise a considerable degree of uncertainty. For example, there is no requirement to notify within a certain period of deciding to leave, as many are discovering for the first time. Despite coming under increasing pressure to trigger Article 50 from the EU, some of the leading voices in the debate have argued that Article 50 should not be triggered until exit negotiations and, possibly trade agreements, have more or less been put in place. Others have suggested the first Referendum should be merely a trigger for renegotiations which should then be voted on in a second Referendum. Much will depend on who becomes the next Prime Minister. There is also a distinction to be made between an exit agreement which is supposed to set out withdrawal arrangements "taking account of the framework of its future relationship with the Union" and post-Brexit trade agreements which will have to be approved by every single Member State. The truth is that nobody knows how long it will take to exit and put in place a replacement framework and opinion differs wildly. Many point to the fact that it has taken Canada ten years to conclude trade agreements with the EU as an appropriate benchmark while others say the situation will be different for an exiting Member of the UK's significance which already has a lot of EU-derived law. The relevance of the Canadian negotiations is also called into question given that, for the most part, the agreements deal with goods rather than services (as do the majority of existing negotiated trade agreements between the EU and non-EU countries). A post-Brexit agreement covering services is even more of an unknown quantity unless we were to join the EEA. the 'Swiss Option' – Switzerland is a member of EFTA but voted not to apply to join the EEA, after which it negotiated a number of bilateral agreements with the EU in order to gain some access to the Single Market. Switzerland is subject to the freedom of goods and people but not to services and capital. It is not bound by the CJEU but follows the EFTA court and it makes a lower contribution to the EU than those made by the non-EU EEA States and has no say in EU law. However, the EU has already stated that the Swiss model does not have longevity and expects that Switzerland will eventually have to join the EEA in order to have continuing access to the internal market. the 'Turkish Option' – customs union: Turkey belongs to a customs union with the EU. This gives it tariff-free access to the Single Market for goods (but not services) without quotas. It is not subject to the four freedoms, has no say in EU legislation and is not bound by the CJEU. It makes no contribution to the EU budget. It is, however required to harmonise its own laws with those of the EU in certain areas including consumer protection, competition and intellectual property. It is also restricted in its ability to enter into third country trade agreements without EU approval and has to adopt a common tariff in line with that of the EU for third country goods. the 'Canadian Option' – Free Trade Agreement (FTA): Canada is one of a handful of countries to have negotiated an FTA with the European Union. The negotiations have taken a decade and Romania is currently threatening to veto the agreement. FTAs tend to be restricted to goods. the 'Rest of the World Option' – WTO: the UK is a member of the World Trade Organisation (WTO) already. If it were to trade with the EU on this basis, it would not be subject to EU law, nor to the four freedoms and would not have to make a contribution to the EU budget. It would, however, be subject to trade tariffs and to EU standards, for example, product standards in order to trade with the EU. Again, the benefits of trading under the WTO apply mainly to goods. It is hard to know which of these options (if any) will prevail, particularly as the decision will not be made by the UK alone but will have to be agreed by the EU (by all Member States if taking place after Brexit or by qualified majority and with European Parliamentary approval if included in the exit agreement). The degree to which the UK will remain tied into the EU will undoubtedly impact on the extent to which we have to continue to comply with EU law but it is not the only consideration. Even though WTO membership would result in a lesser compliance requirement than EEA membership, for example, from a practical point of view, the UK is likely to continue to comply with a lot of EU law, whether or not it is legally required to do so. What will the legal effect on UK law be? Existing law - legally, on conclusion of the exit agreement or expiration of the two year period (unless extended) if earlier, the UK will no longer be subject to the EU Treaties unless the terms of any exit or post-Brexit agreement (such as EEA membership) dictates otherwise. The European Treaties as well as EU Regulations which are not otherwise preserved by UK national law, will no longer have effect. As there is no requirement to introduce implementing legislation for EU Regulations, in theory, they will simply cease to apply; but many have related local legislation dealing with the effects of Regulations and it will be a complex process of disentanglement to work out which pieces of legislation are left standing (see our other articles for examples). In relation to legislation implementing Directives, the situation about what is still in effect is likely to be less complex as they are implemented into UK law by UK legislation which will remain valid until repealed or superseded. 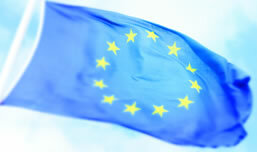 CJEU decisions interpret EU law. To the extent that CJEU rulings have been reflected in subsequent UK law (including court decisions), they will also continue to apply. Future law – legally, the UK will not be required to adopt any new EU legislation and will not be subject to the jurisdiction of the CJEU after exit (unless it agrees to either under the exit agreement or any future agreement). What will the practical effect on UK law be? The practical impact of Brexit on UK law is a very different consideration. Existing law – it is extremely unlikely that the government will expunge all EU-derived law from the statute books the minute we leave (not least as to do so would be an enormous logistical exercise) and equally unlikely that it will replace the majority of it although it may have the option to do so. The fact is that, in many areas, if we do not comply with EU law, we will not be able to trade with the EU. Areas of law which are particularly unlikely to change include data protection, consumer protection, financial services and product liability (indeed, the government has already stated that it has no plans to change the product liability regime). Future law – similar considerations apply to future EU law. In certain areas (although not all), if we do not comply with EU legislation and take into account CJEU rulings on relevant legislation, we will significantly restrict our ability to trade with the EU. The reason this extends to CJEU rulings is because they interpret EU law. If we choose to keep a piece of EU-derived legislation or adopt a new piece, we will arguably need, from a practical perspective, to apply any CJEU decisions in respect of those laws. The recent high profile examples in the area of data protection in the Google Spain and Schrems decisions (which dealt respectively with the right to be forgotten online and data exports from the EU to the USA), illustrate how CJEU decisions can significantly affect non-EU Members. Pro-Brexit campaigners have argued that leaving the EU will dramatically reduce bureaucracy and return sovereignty to the UK but, in the short to medium term at least, Brexit is likely to trigger extremely complex legal ramifications and contingent uncertainty, not least in terms of the law. The debate around sovereignty is not as simple as it first appears. Do we have meaningful sovereignty (in the wider sense) if we have to comply with laws we have no say in making, even if we can theoretically pick and choose? Our other articles in this month's Download consider the likely impact of Brexit on particular areas of law including data protection, employment, financial services, intellectual property, competition, and we also look at Brexit from the perspective of Germany.